This is episode #53. And today’s guest is the Co-founder and CEO of MVMT pronounced as ‘movement’. MVMT are a global – fashion, watches and accessory brand for millennials, that has sold over 1.5 million products. 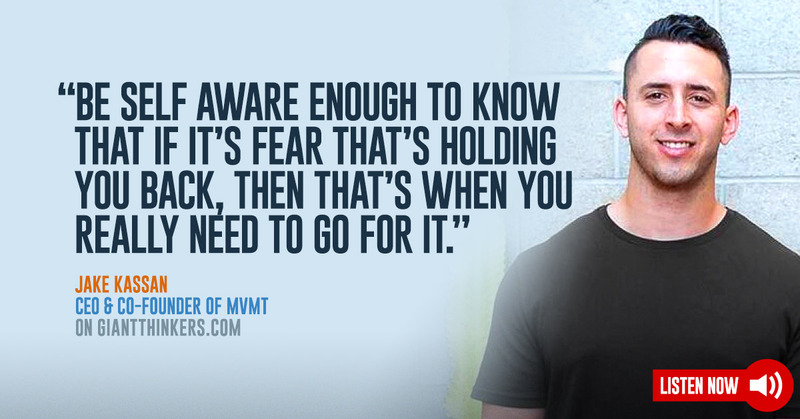 After almost failing out of high school and dropping out of college, our guest started this brand at age 22 while he was $20,000 in debt. Four years later, his brand has grown to more than $80 million in revenue and 4 million social followers. And how MVMT watches all started. So If you’re someone that’s interested in designing a product and designing a thriving business around it, then this episode is for you. I present to you … the resourceful, determined and inspiring … Jake Kassan! Do you think style should break the bank? If you’re like me and think ‘no’, then you’re in for a treat. MVMT are gifting listeners an exclusive 15% off all products with free shipping! Grab one of their premium watches and accessories – at an already radically fair price, plus take another 15% off at checkout. Skip the stress that comes with parking at the shops then dealing with retail crowds – you can and grab a watch for yourself and all your loved ones. They make the perfect gift for men and women, and start at just $95.